Just two weeks after collaborating on the Gonna Love Me, remix Teyana Taylor and the Wu-Tang Clan are teaming up once again to reveal a new joint venture. 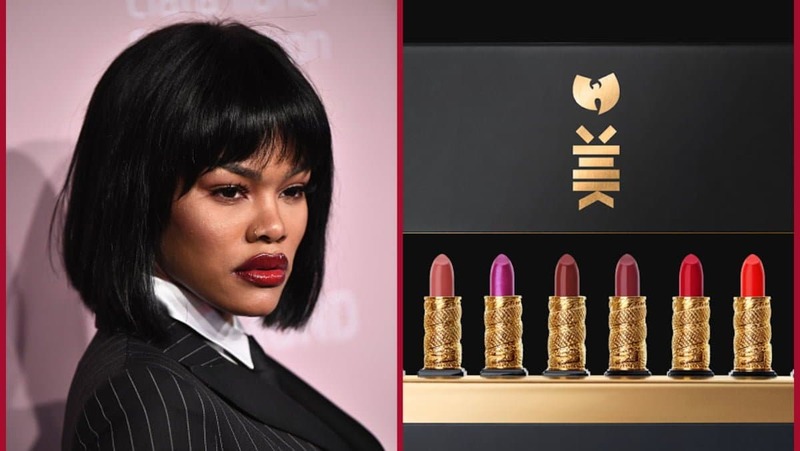 Last week it was announced that the legendary hip-hop collective known as the Wu-Tang Clan would be going into business with Milk Makeup to launch their first-ever cosmetics line with Taylor cast as the star of their new campaign. “I have a great relationship with Milk’s founder, Rassi, and as New Yorkers, we’ve frequented some of the same circles. We spoke about fashion and the cosmetic world and I revealed that [Talani], my wife, has a cool perspective about makeup [because] in her youth, she was in the modeling circles,” said Wu-Tang’s RZA to Billboard. In the past, the group had a line of sneakers through a partnership with Nike and this year launched an apparel collection of streetwear for different seasons. But this is the first time the group has tried their hand at makeup. They’ve already released a 46-second commercial for the limited-edition product, that shows an athletic Taylor dressed in an all-black battle suit and performing karate moves on a roof. The NYC skyline serves as her background as Taylor focuses on her kung-fu styled moves and the video goes into slow-motion. Since the group’s inception, Wu-Tang has always been heavily inspired by Chinese culture, so everything from the aesthetic of the campaign, to the product packaging and bright red color of the lipstick (the color that symbolizes good luck in China and is the color of happiness), fit perfectly into their aesthetic.